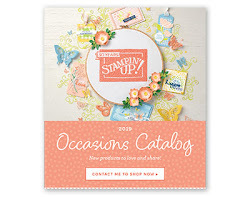 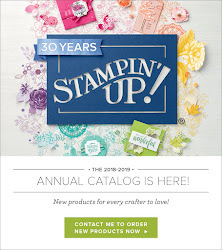 Today I am using the Oh So Succulent stamp set which is unfortunately going away on May 31st. I got the inspiration for this card from a card my daughter-in-law had made. 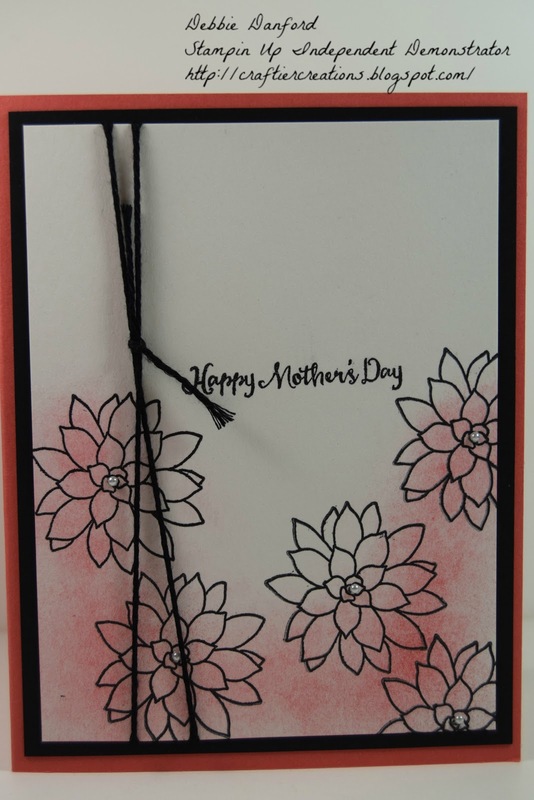 I stamped the flowers in Basic Black & with a baby wipe I sponged Calypso Coral on the flowers. 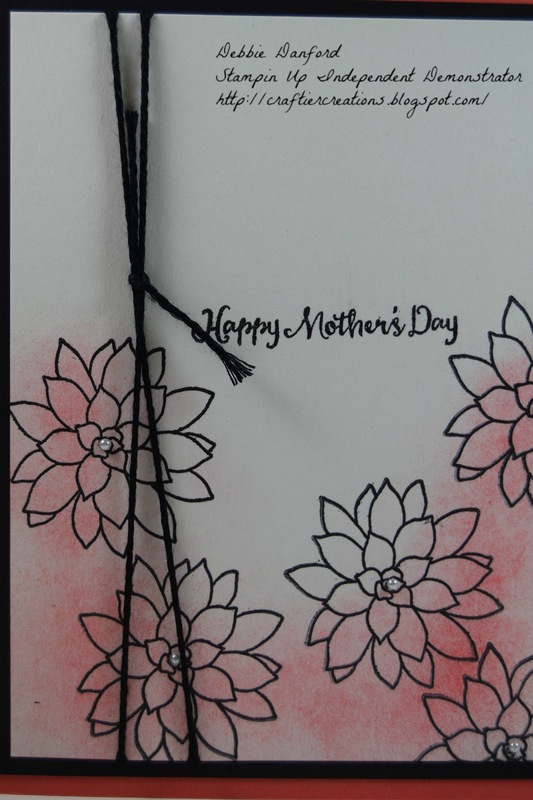 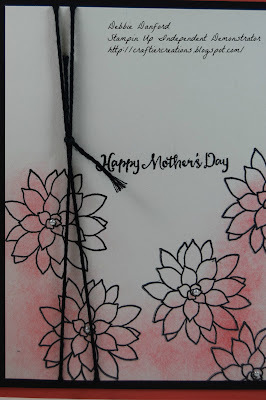 Stamped the Happy Mothers Day & added some Basic Black Bakers Twine.